This hub is going to talk about Morgan, My Unit's child in Fire Emblem: Awakening. Morgan is a special case amongst the child units for several reasons that will be mentioned during the course of this hub. In addition, I will give my take on who the best parents are for Morgan and what skills you should get on Morgan, if at all possible. Finally, I will do a case study on what I believe to be the strongest build for Morgan, which should be interesting, to say the least. 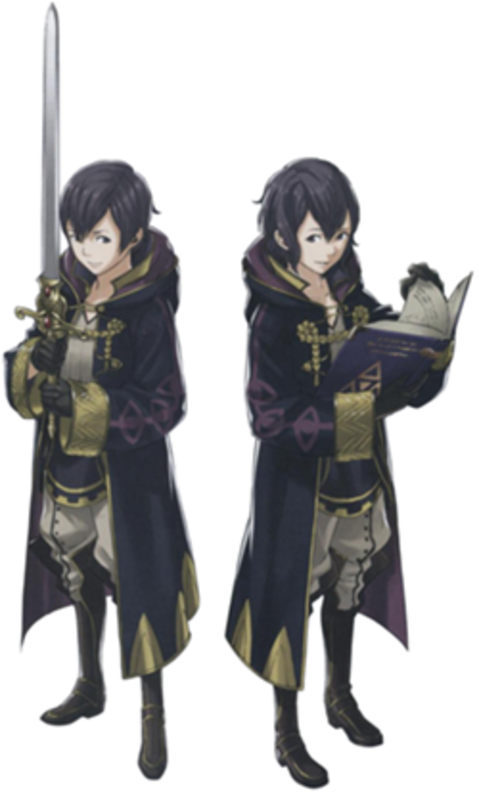 So, if you're ready to see why Morgan has the potential to be the best child unit in Fire Emblem: Awakening, please read on and find out! Morgan is the child of your My Unit. When you find Morgan, you quickly realize that they are suffering from amnesia much like MU was at the start of the game (like parent like child, I suppose). Morgan's main character defining traits are their desire to surpass their MU parent and ability to think fast in difficult situations. What's up with that gender-neutral pronoun? Morgan has access to every normal non-gender exclusive class in the game (except Lord, should they have Chrom or Lucina as a parent). Morgan can be a third generation child. In other words, you can have your My Unit pair up with a second generation unit and Morgan will be the result of the pairing (even though second generation units do not have children under other circumstances, even if they S Rank with any other non-MU unit). Morgan can inherit Manakete or Taguel if MU pairs up with Nowi, Panne, Yarne, or Nah (incidentally, this also means that you can't have a male Morgan Manakete). Morgan's base class is determined by MU's spouse. For example, if you have a female MU marry Vaike and he is currently a Berserker, then Morgan will be a Barbarian. As a caveat to the above, if MU's spouse has a special class that is not Manakete or Taguel (such as Lord or Dancer) then Morgan's base class will default to Tactician instead. Morgan's hair color is derived from MU's spouse, regardless of the spouse's gender. So, if you have a male MU marry Anna, you'll have a redhead female Morgan. Where can I get Morgan? Once your My Unit has married, you will unlock Paralogue 12. There, you will find Morgan surrounded by Risen and suffering from amnesia, only recognizing MU. Have MU talk to Morgan to recruit him/her. Why should I use Morgan? Well, if you have Manakete Morgan, she will be the best child unit you will get (unless you get Galeforce Nah via a Male My Unit parent, in which case both child units have the same versatility, making Nah superior). Manakete Morgan is functionally similar to Nah, but Manakete Morgan (being female) has far greater versatility than Nah and is guaranteed to get Galeforce. If you don't get Manakete Morgan, then Nah will be better than Morgan, especially if you get her Galeforce, in which case she'll definitely be your most powerful unit. Thanks to Shawn for reminding me that Nah can get Galeforce under certain circumstances. 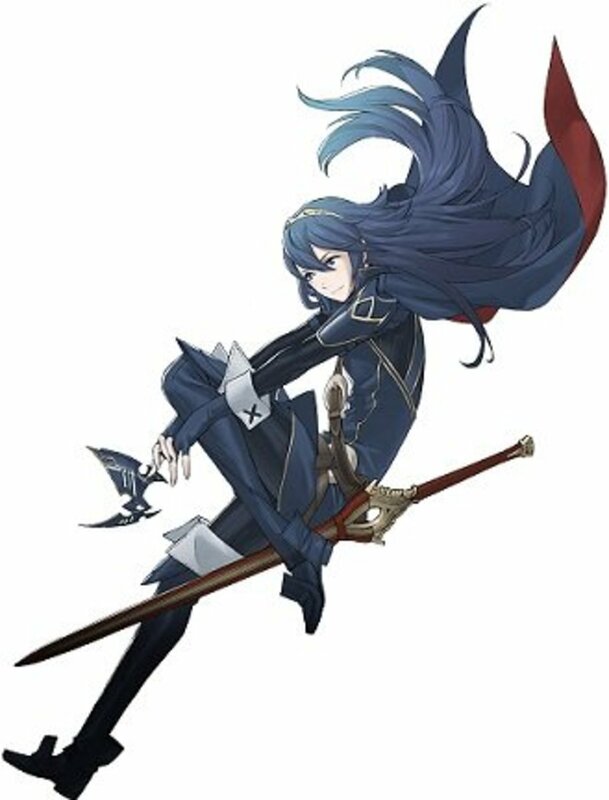 And yes: Morgan is better than Lucina, in all cases but one. 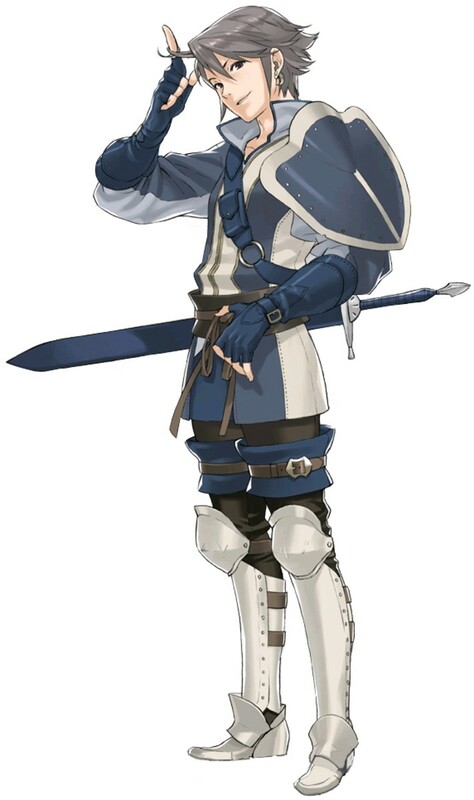 While Lucina does get access to Aether/Rightful King, not all of Lucina's parent pairings offer Galeforce and Morgan can get Galeforce after being recruited by spending some time as a Pegasus Knight (if female) or by inheriting it from his mother (if male). The only time I personally believe that a Lucina may beat out a Morgan in terms of overall usefulness (barely, mind you) is if she has Galeforce and the Morgan does not (and does not have the Manakete class either). As a curious aside: Female Morgan is better than male Morgan if only for the fact that you have to have a female MU pass on Galeforce, since male Morgan cannot acquire the skill from Dark Flier. This frees up a male MU to pass down Ignis while the female parent passes down Galeforce. This is besides the fact that only a female Morgan can become a Manakete. Having a male My Unit marry Nowi, Nah, or Tiki gives a female Morgan that has Manakete. Manaketes are awesome. 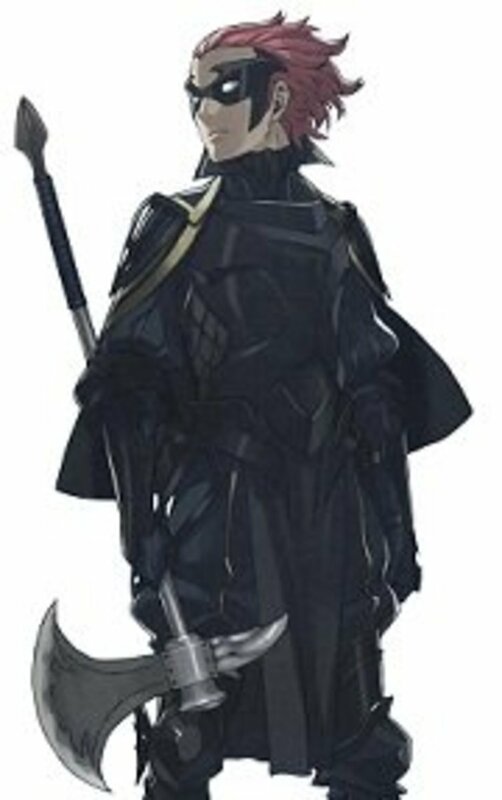 Aversa as a parent can get Morgan Shadowgift, which then allows her to use Dark Magic tomes in any class that can use Tomes. Dark Flier and Dark Knight are the most mobile tome users if you're looking for Sorcerer alternatives. Female Morgan can get Aether if a male MU marries Lucina. Failing any of the above, any female parent with Galeforce will work good in a pinch. It's imperative (from an optimization perspective) to get Galeforce on a female My Unit to pass down to Morgan since Galeforce is in a female-only class. Walhart as a parent can pass down Conquest to a male Morgan, which is pretty useful if you want to use Morgan in a class such as General or Great Knight since it negates the effective damage bonus weapons that trump armored and/or beast type units would normally get against the aforementioned classes. Once per turn, get an additional action upon killing an enemy unit during the user's turn. It allows you to abuse Fire Emblem: Awakening's action economy. Basically, most units can only take one action per turn. With Galeforce, as long as your first action is killing an enemy unit, you get two. Recover up to 50% of maximum HP upon killing an enemy unit during the user's turn. You heal for up to half of your maximum HP when you kill an enemy unit. What's not to like? Morgan tends to have balanced Strength and Magic growths just like their MU parent. This allows you to hit harder and compensate for having medium-high values in both attack stats instead of one really high attack stat. Grants a chance for weapon durability not to be reduced when a weapon is used in battle. Mercenary 1 [Both Genders], skill inheritance not recommended. It reduces the chance that your weapon will use durability. At 50 Luck, your weapons have infinite durability. This is good to use with powerful weapons (such as forged Brave weapons or Legendary weapons) that you otherwise would leave in the Convoy for all time. Always attack first during battle if the unit's current HP is at 50% or less. Myrmidon 10 [Both Genders], skill inheritance not recommended. This is the quintessential clutch skill. About to die? Not if Vantage has something to say about it! Works best with Tomes or other weapons that have 1-2 Range. A table listing my personal favorite layout of skills for any relatively optimized Morgan, and how they can be obtained. Manakete Morgan is generally regarded as the best build for Morgan due to the fact that it affords her high stat caps that are pushed past their limits thanks to the bonus stats Manaketes can get via Dragonstones. Also, Manakete Morgan is the only Manakete in Fire Emblem: Awakening that will always be able to acquire Galeforce (Nah can acquire it only if her male parent grants her Pegasus Knight), making her leaps and bounds deadlier than Nowi, Nah, or Tiki (although Manaketes in general are pretty awesome). As is par on course for most of my hubs, I use Serenes Forest as a reference guide. Given that it is the premier source for all things Fire Emblem, you wouldn't do wrong by doing so as well. In particular, here's a link to the growth rates page for Fire Emblem: Awakening. This will allow you to see Morgan's growth rates depending on their non-MU parent and also depending on the MU's asset and flaw. Given that My Unit can potentially marry any unit of the opposite gender in the game, it would be madness to try to cover the growth rates for every possible build (seriously, it would take pages upon pages of pure table data). Thus, I will point you towards a helpful link over at Serenes Forest that will let you mix and match parents for Morgan until you drop from sheer exhaustion. Check out the sidebar for details. Of course, I am going to cover the growth rates (and maximum stat caps, because why not?) for Manakete Morgan, which will hopefully let you decide what to do with her, should you decide to go that route. Which Manakete would make the best parent for Morgan? Please note that the following growths are going to assume the community-agreed optimal My Unit set-up of Speed Asset/Luck Flaw. Morgan's actual growths will differ slightly if you have a different Asset and/or Flaw. They also assume that Nah is Donnel's daughter, for the sake of simplicity (and as a nod to the fact that Nah is Donnel's child in my first save file), as Nah's growth rates are influenced by her parents and will end up influencing Morgan's growth rates as well. With that said, check the table below. As you can see above, the choice of Manakete parent does little to the overall stat growths that Morgan will have. However, it does have a non-trivial effect on the caps. For example, compare Morgan's speed cap when Tiki is the mother to when Nah (as Donnel's daughter) is the mother. A difference of four speed is just about enough to determine whether you can double or not against enemy units. Tiki offers a lower Magic cap, but Manaketes don't use Magic anyway, so that's basically a null point. From a maximization point of view (that is, getting the most characters to be parents), I would remove Nowi from the running, since she already gives birth to Nah. From an optimization standpoint, If you do pair up Nowi with your My Unit, Nah will also benefit from MU's class selection, allowing her to become a Dark Flier and get Galeforce as well. However, let's assume that you do have some small degree of mercy for the game and decide not to do a MU x Nowi pairing. That leaves either Nah or Tiki as potential mothers and I personally feel that Tiki would make a slightly better mother. Of course, that depends on just how much you value that extra Speed, as Tiki provides slightly lower Defense and Strength caps than Nah does. Summary: Tiki grants a higher Speed cap than Nah as Donnel's daughter, but a lower Strength and Defense cap. A My Unit x Nowi pairing can give Nah the ability to dabble in Dark Flier to get Galeforce, giving you a pair of Galeforce Manaketes, which can compensate for the fact that Tiki has slightly more beneficial caps for the class than Nowi does. So, how do I get Galeforce on Manakete Morgan? Same way every Morgan that doesn't get Galeforce via skill inheritance does: Take 15 levels in Dark Flier. See, Morgan shares My Unit's ability to class change into any normal non gender-specific class in the game (class inheritance, what can't you do?). This means that she has access to Dark Flier. While you're on your quest to make the nastiest female Morgan on the face of Awakening's world, you could also dabble in other classes to get some of my favorite skills as listed in the table a few sections back. However, Manakete Morgan is such that you probably won't need to resort to such levels of optimization (although one could counter-argue that there's no kill like overkill). Do you use Morgan on your team? Yes, but not as a Manakete. In conclusion, Morgan is the most versatile child unit in Fire Emblem: Awakening, which is only fair for the direct descendant of your My Unit (who pulls victory from the jaws of defeat on a daily basis). I talked a bit about my favorite skills on Morgan and how to make the Manakete Morgan of your dreams, if you really want to break the game on your knee. However, you needn't feel pressured to optimize Morgan (I know I didn't during my first playthrough). Chances are that your Morgan will turn out all right no matter the circumstances just because of the sheer versatility that having the MU as a unit's parent can have. Feel free to talk about Morgan and things related to them in the comments section. Also, don't hesitate to ask questions if something in this hub is unclear! I'm not sure if you still reply to these Winterfate, but when doing Manakete Morgan, who did you sacrifice to not get Galeforce, or am I thinking of this the wrong way? Because only 3 child characters can not get Galeforce unless paired with a father that gives them Pegasus Knight. The only fathers able to give it are Donnel, Gaius, and Male Avatar. 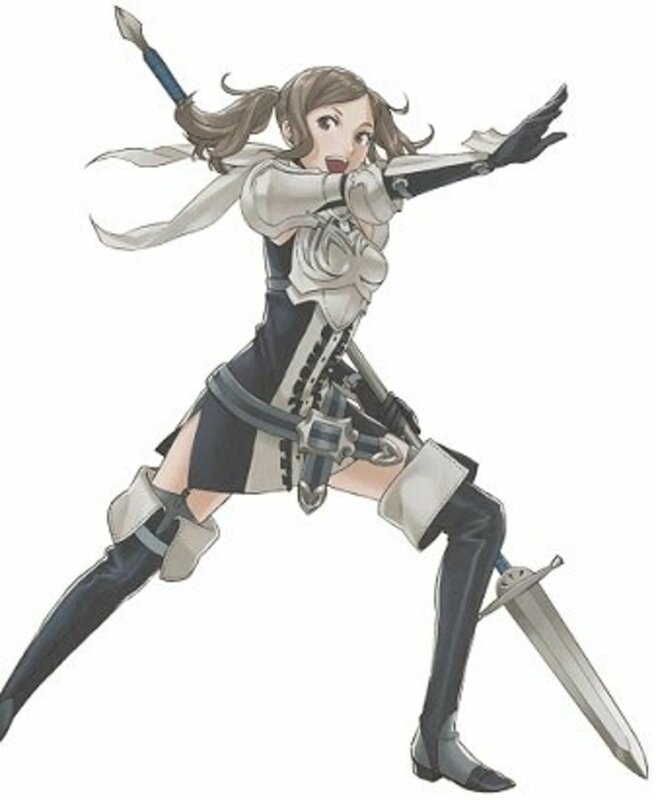 Or can both Nah and Morgan get Galeforce either way you marry them? I guess I'm rather confused. @Sithlord, If Manaketes aren't your thing, then Lucina (or Chrom if MaleMU) is a great parent because you can get Aether/ Rightful King. These are both powerful skills. Male Morgan can also get gale force from female MU. The skill(s) that is passed down from each parent can be manipulated if you only have the one specific skill equipped and all others removed. As easy as a simple edit. You're welcome. "regardless" is not a word. You should have put regardless. Thank you so much! I've been stuck with this choice forever! Hmm... I can't decide. I'm getting the game soon, and I want to find a wife who is a "mother" character who has a good growth in Speed and a decent growth in Skill and Luck, so not only can I balance out Morgan's stats giving her the potential to become a altered version of my MU, but I kind of want to make a "second" Morgan. I've narrowed it down to Olivia, Sully, and Panne. I'm sort of leaning towards Olivia since she basically has all the stat benefits of Panne, just the only thing is Olivia can make getting Galeforce. But she does come later in the game, which is rather unfortunate... I don't know. Any advice? This was really cool to find out about. I'm about to play the game again as I have just beaten it for the first time, and I honestly had way to much fun making morgan op XD I didn't really like support skills at the time, so I married Lucina and then trained Morgan till she had Astra, Ignis, Galeforce, Aether and Life taker, which basically made her invincible. I'm not sure if that's the best way to do it, but it definitely wrecked armies for me. just a suggestion :) thanks for all the info! I want to make my female Morgan to be a Mage class, however, I'm not sure what skills to give her. My Unit is a Grandmaster and not married.I'm on chapter 8. Any thoughts would be accepted. Hello, I was going to make Morgan (female) into the best possible magic unit, however, I don't know what skills to give her. My Unit has not been married yet and I'm on Chapter 8. My Unit is a Grandmaster. Any ideas would be accepted. I have a simple mage morgan and her mother is miriel. i am thinking of making her a valkerie if possible. Uh, dude. You're thinking WAY too depely about this. The time travel in this game follows the whole split-time theory , it doesn't contradict itself because the children that came back in time to stop Grima are from a completely different timeline. They managed to save this one from Grima, but if they were somehow able to go back to their own, it'd still be destroyed. Sounds like a plan. Thanks for the response too. Honestly, setting up for children is probably my favorite part of Awakening, because it just has SO many possibilities. I feel like I'm always rethinking my strategies to try and make the most powerful kids I can. Hello there Brandon! Your comment got caught by the spam filter for some odd reason. I'm inclined to say that you should pass down a Dread Knight skill if you have access to the Dread Knight DLC. Really, the only major male-only skills outside of DLC are Counter and whatever the Berserker gets (shows you how many Berserkers I have that I can't even remember their skills). Otherwise, as you yourself have noted, Morgan can pretty much learn everything else on her own already. Your Morgan strategy sounds like a good one as well. Lifetaker on a Sorcerer with Nosferatu is just twenty degrees of broken (really, Sorcerers have way too much Defense for a caster class). It's not to say that he'll be unkillable, but he'll be pretty darn close. Hey, Winterfate, I could use a little advice. On a future playthrough, I'm going to try out Manakete Morgan (I can't on my Lunatic playthrough because I went with a female MU without thinking Morgan through). What I can't decide is what to have my MU pass on to Morgan. 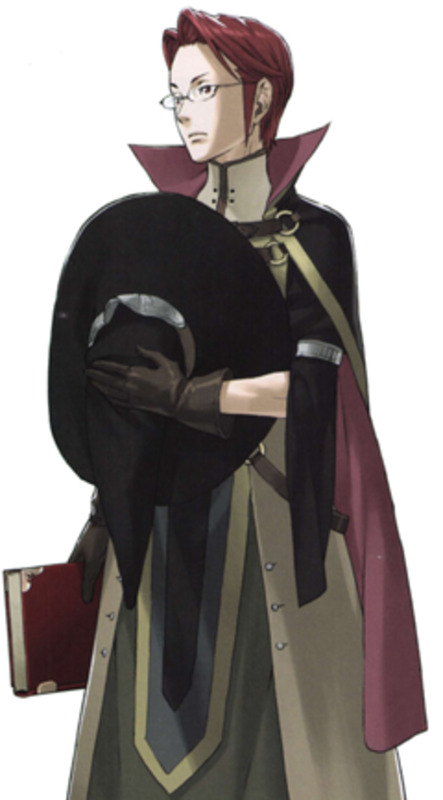 This is an MU x Nah(Donnel), by the way (and Nah will be passing Lifetaker). The obvious first choice would be Ignis, but Morgan can get that on her own unless I'm missing something (and I've read into inheritance religiously), so it seems like a waste. Galeforce can also easily be obtained on her own. I have the Golden Pack DLC, so grinding for skills is a non-issue. I just for the life of me can't figure out a good male-only skill to pass (now that I think about it, maybe Counter?). On my current lunatic run, I went with a female MU mostly for experimentation (and also because of the ability to get Galeforce on my MU). In hindsight, I realize female Morgan is superior to male Morgan, but I'm still hoping to salvage him into a powerhouse. I was thinking about FeMU x Laurent(Ricken), with the MU passing Galeforce and Laurent passing Counter. The ultimate plan I have in this run is for Morgan to take 15 levels in Dark Knight (for Lifetaker), and then become a Sorcerer. Thoughts on this strategy? My Morgan is a tactician. He inherited Rightful King from his father. What would be a good way to reclass him? I usually pair him with his sister, Lucina. I have a Level 20 Pegasus Knight Morgan, having received Galeforce from mother Cordelia and Ignis from male MU. Where should I go next with my Morgan? Just finished awakening for the first time on hard-classic and reading up on the guides and info to plan for my lunatic run. That said, I had MUxNowi and was able to take the last two levels in 3 turns each with the galeforce Manakete sisters able to stomp eveything. No mercy for the game? Maybe, but it was damn satisfying. 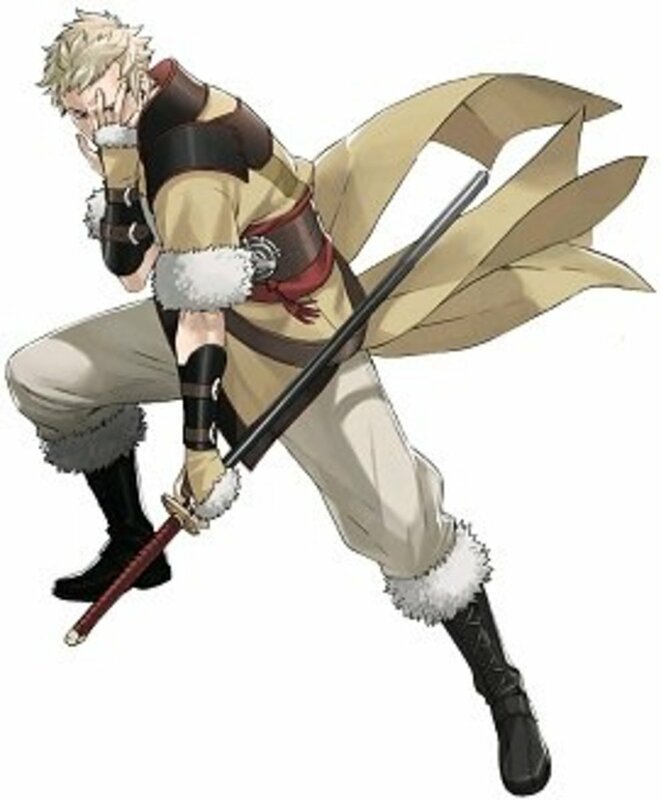 good hub, was thinking lethality galeforce sol rightful king armsthift for Male Morgan. Any thoughts? 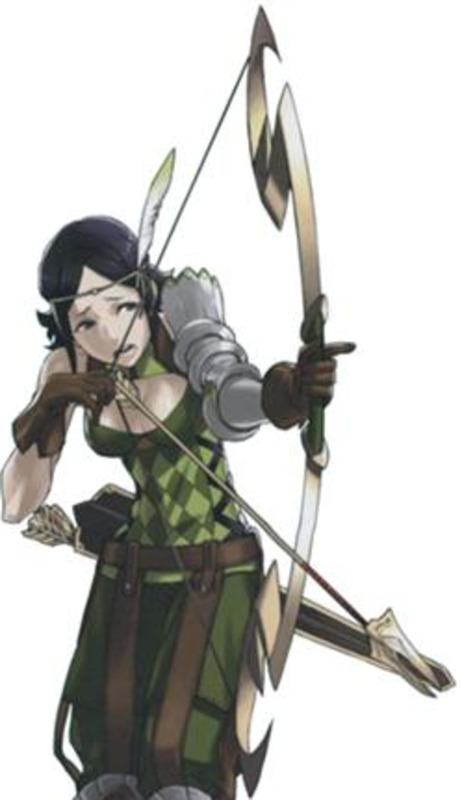 Just looked at Serenes Forest for fem Morgan and noticed that it says Donnel's daughter -can- pass Apititude along. So if that's Nah, then manakete Morgan can get even higher growth rates as well as both of them having access to Dark Flier/Galeforce. Sorry for answering my own question. As for the lower speed max, that can be partially remedied if you repeatedly bring in the SpotPass team for Tiki and buy the Dragonstone+ from her as it has +2 speed over the regular as well as it's other stat bonuses being higher too. Just wondering....if Donnel is the father of Nah, and then Nah puts Aptitude as her last skill and marries MU...will fem/manakete Morgan get Aptitude as well? @ Frenchy: All of the male children are a good father for Morgan if you're using a female Avatar (and if they learned Galeforce from their mothers, FeMU doesn't have to pass it down either and could pass down something else useful (Pavise, Aegis, Ignis, Vantage, Lifetaker, Sol, Tomebreaker - depending on what you want to do with your Morgan). Otherwise Chrom is best from the first generation, for his Rightful King inheritance. Hello there Frenchy. Thank you for reading! I can understand you just fine, so do not worry. The best mates for your avatar, in my opinion, are Nowi (for Manakete Morgan) or Lucina if your avatar is male. Pairing up your avatar with Nowi allows both Nah and Morgan to get Galeforce through Pegasus Knight. If you have a female avatar, then the best pairings are with Chrom or Yarne (if you want Taguel Morgan). You will have to pass down Galeforce through your avatar in that case though (since males cannot get the class that gives you Galeforce). I actually play, and I'm wondering how CAN I do! I play with the roman avatar, and Chrom married Olivia. I tried to marry Lon'Zu but I'm not sure it is a good idea! Could you help me and give me some advice? Thanks :) Oh and good article! In that case, definitely Lucina so she can pass down Aether. Morgan gets all non-gender specific classes regardless of their non-MU parent. However, Lord is only available to Chrom and Lucina, so you can't get Aether on a child if you don't pass it down via inheritance. Love the article! I have a question though. I'm planning on putting my MU with Severa or Lucina (I don't really like Manaketes a whole lot). Who, in your opinion, would be a better parent? I assume you're asking which of the three females is the best parent for Morgan. I would definitely say Nowi, since it also gives Nowi's guaranteed daughter (Nah) the Pegasus Knight so you can class change and get Galeforce eventually. The only anti-Manakete weapons are the Falchion (the legendary sword that your Lord starts with) and the Wyrmslayer. There is one magic tome that is anti-Manakete, but it is a rare find from sparkling tiles on maps (notably, I haven't gotten a single copy of that item yet), and enemies won't use it except in downloadable maps. great article! i want to ask you a question, i'm european and i'm going to get the game on the 19th and i want to plan my avatar marriage so i won't mess up with morgan, my avatar will be male. 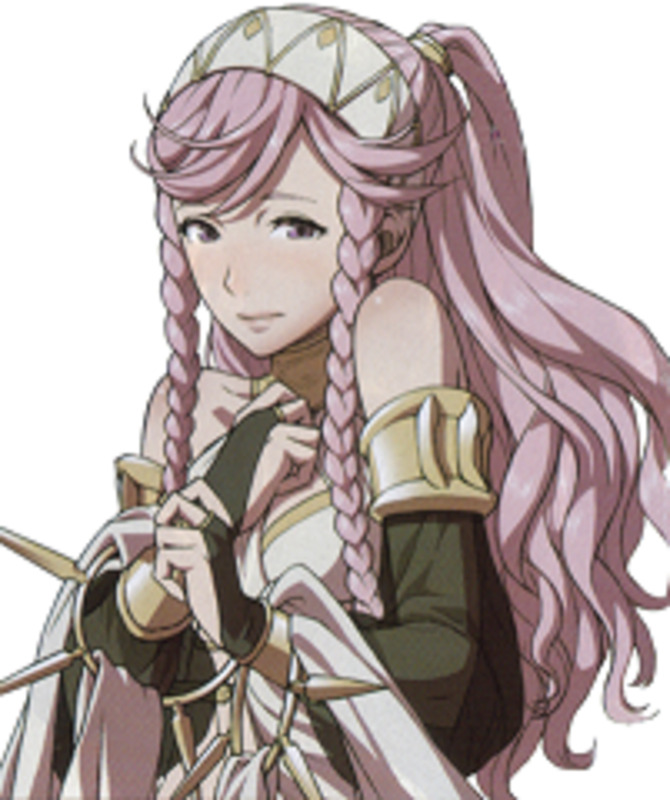 i want to know is it better to make morgan the mother of nowi, of lucina or of severa? after readeing this i'm almost settled with nowi, but i want to be sure that while playing against streetpass teams they won't kill morgan with some kind of anti manakete weapons..
Morgan will default to Cleric if her mother is Lissa. Any Morgan is worth using, since they'll have every non-gender exclusive class available to choose from when you use a Second Seal. if morgan's mom is lissa, do you think she's worth using? and what class will morgan be? I'm sorry, I left out a part. I switch out Ignis and Locktouch interchangeably. Obviously I use Locktouch when the map has any pesky doors or chests. After reclassing into sage to grab tomefaire, I've got my Morgan as a Dark Flier with every stat maxed. Needless to say my absolute best character. With Galeforce, Tomefaire, Locktouch, Movement + 1, and Magic + 2 . I also gave her boots. She can easily clear any map by herself when paired up with Anna, her mother. @Shawn: Hey there, thanks for pointing out that inconsistency. I spent more time than I'd like to admit on this particular hub so, as you may imagine, I was a bit burned out by the end. I corrected the relevant paragraph and my tier list and credited you for the reminder. Thanks for reading! I was thinking of making my female Morgan a Grandmaster (after skill grinding, of course) to make up for MU not being one (though, MU did spend some time as a Grandmaster to get Ignis). I was thinking about this because I did the same with Lucina by making her a Great Lord w/ galeforce, aether, and rightful king to make up for Chrom being a Paladin rather than a Great Lord (I have a thing with mounted units, okay. 60% of both my streetpass and main teams are mounted units). Anyway, after reading this hub (and your convincing argument about overkills), I'm heavily considering a Manakete Morgan w/ Tiki as the mother. I don't know, there's just something about leaving a battlefield in ruins with your enemies fallen that appeals to me in Fire Emblem and other strategy games. Maybe I'll make Morgan a Grandmaster for streetpass and keep her a Manakete for the main game. You said "If you don't get Manakete Morgan, then Nah will be better than Morgan, but not much more so (and even this is debatable since Morgan can get Galeforce and Nah can't)." My Nah has Galeforce though, she's my most powerful unit.